Custom Desktop Computers: Not every requirement can be met with a mass-produced off the shelf computer. That's why we've been manufacturing our fully customized computers for over twenty five years. We can tailor every aspect of the design to meet your specific needs. With Corporate Computer Centers, you're not limited to what a manufacturer thinks you need. In addition, the computers we manufacture use consistent components for ease of management and service. We use only high quality components from major manufacturers such as Intel, Asus, Western Digital, Samsung and EVGA. Any chassis, any processor, any configuration you want, we can build! Rackmount Computers: 4U, 3U, 2U, 1U... we build them all! 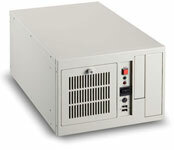 Our rackmount computers can be customized for any configuration or application, just like our desktops. Servers, instrumentation, process controllers, computing nodes, the possibilities are endless. 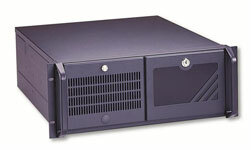 We manufacture ATX and PICMG passive backplane rackmount computers for commercial and industrial applications. We can even build ISA bus and other legacy configurations! Industrial and Embedded Computers: We manufacture a full line of industrial and embedded solutions for a wide range of industries. Available in a number of form factors including wall-mount, our custom solutions are tailored to your exact requirements. In addition to ATX and Mini-ITX based systems we also manufacture full size and half size PICMG passive backplane solutions in modern and legacy configurations including those using the ISA or EISA bus architecture. We work with you to find a solution to match not only your technical requirements but also you budget!